Nearly a week after election day, Democrat Kyrsten Sinema won the Arizona Senate seat Nov. 12, defeating Republican candidate Martha McSally. The race was officially called after a tight run between Sinema and McSally. Sinema won by about 1.7 percentage points. This is the first Democratic win for an open Senate seat in Arizona since 1976. 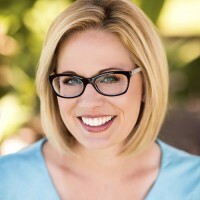 Sinema, a former social worker, is Arizona’s first female senator and the first Democrat elected by the state’s Senate in 30 years.